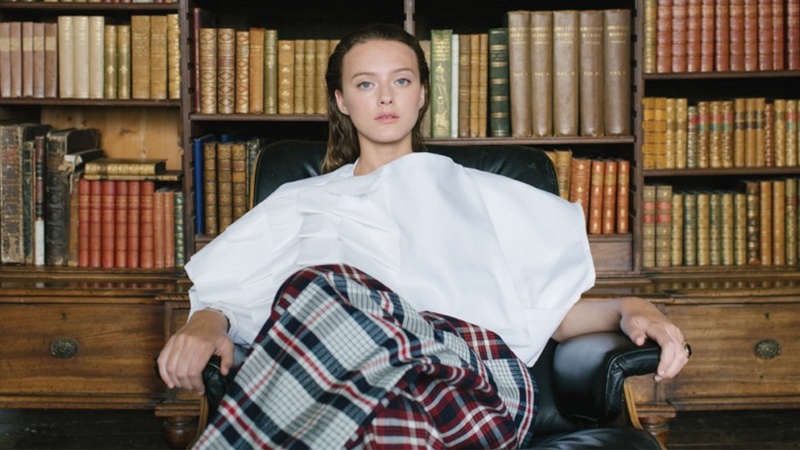 The aim of Just Fashion, a project that took place in 2014 and 2015, was to give a life-changing opportunity to fashion students and to encourage sustainability and ethics to be a priority for the next generation of fashion graduates and designers. Hay Festival and Levi Strauss & Co (2014) and H&M (2015), invited fashion design students across the UK to participate in the Just Fashion Lab, an experimental space looking to inspire a new generation of fashion designers to consider sustainability as integral to their design process. Selected participants were invited to take part in a 5-day workshop, ending with a live event at Hay Festival. Working with a team of experienced researchers and practitioners from H&M, the Environmental Justice Foundation and the Centre for Sustainable Fashion, participants designed unique pieces through the exploration of design for sustainability. Participants worked with materials sourced and provided directly from H&M’s global garment collection initiative, which works towards repurposing and giving new and extended life to unwanted garments. Fashion designers and journalists were invited to be part of the Just Fashion workshop and provide advice and inspiration to the students. In 2014 this included designers Katherine Hamnett, Alis Smith and Jessica Mor and in 2015, designer Orsola de Castro and Jessica Bumpus from Vogue. The finished outfits were styled, photographed and shown at the final event as part of the prestigious main Hay Festival programme. Participants' work received feedback from the H&M and CSF team, and up to three students were selected to speak at the final event, alongside industry and education panelists. The participants were also provided with a travel bursary, accommodation and tickets to other events happening at Hay Festival throughout the week.